From booking to arrival, you can manage your trip online with our Trip Planner. Make changes to your booking, confirm your numbers, save information to complete later, or simply use it to refer back to important details about your trip, all in one place inside a secure log in area. You can log in to your account with the details you were given during your booking process by clicking on the 'Log in to Trip Planner' button at the top of the screen. 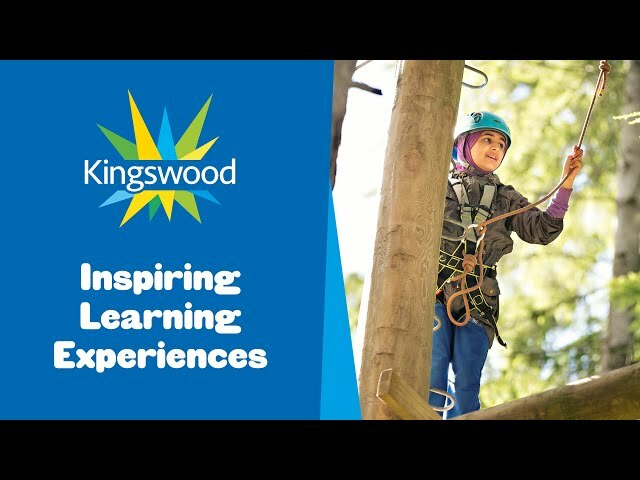 Our videos are a great way to introduce Kingswood to parents and the young people you are bringing on your trip. We have a selection of videos available on our YouTube channel, and more information for you to view or download to help launch your trip below. We have put together these handy guides to help you in preparation for your trip. Click on the link for your centre to download the pre-visit documents you will need to complete before your visit. The documents are supplied in PDF format which can be filled out, saved and emailed back to your chosen centre or can be printed off and posted. If you need any help filling the forms out, your centre will be more than happy to assist. Their contact details can be found at the bottom of each page throughout the pack. These letters provide a basic template for writing to the parents of your group, they can be edited to include the details of your group, visit dates and chosen centre. The letters are supplied in Word format which you can view or save by clicking the links below. These presentations can be used during a parents evening to introduce your Kingswood visit to the parents of your party. The presentations are in PowerPoint format which you can view or save by clicking the link below for your centre. Each presentation below comes with slides on all of our primary programmes, so simply delete the slides for programmes not relevant to your trip. Savings cards can be used to help parents spread the cost of paying for their child's visit to Kingswood. These are supplied in PDF in format and can be downloaded and printed using the link below. For information for parents, including a packing list, sample menus and our handy parent guide, click the button below.